This article has been tagged as Needing work due to its lack of clarity and formatting. 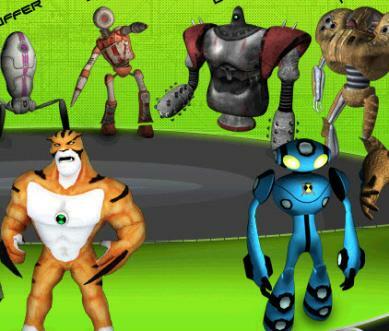 A Promotional picture for one of the Turkish Ben 10 games. The Turkish Ben 10 Games are a group of video games developed by Proje Calide (Project Calide), made to promote the animated series Ben 10 that was becoming popular in Turkey at the time. The 2005 Ben 10 animated series premiered in Turkey around possibly the year 2009. Cartoon Network was officially launched in Turkey in 2008 and Ben 10 was aired about a year later. Its spin-off came around the early 2010s, so the games likely came around late 2000s and early 2010s. 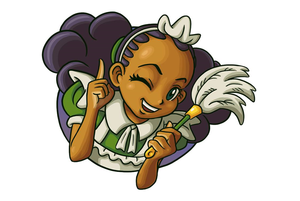 Not much is known about the Proje Calide developers, who seem to have made a lot of promotional deals back in the day. Their website does mention a partnership with Cartoon Network, so it can be assured that the games in question are official. These games are nowhere to be found online anymore. Nebula Takibi = Nebula Chase. Note that Mandarx or Mandars don't exist in any other Ben 10 media, They were likely created by Calide for those games. In August 2017, all of the 4 games were found in a Turkish Letgo sale. Ben 10: Meteor Saldırısı (or Ben 10: Meteor Attack) is an Augmented Reality game for the PC. Judging from the how to play videos and commercials, it was played with the webcam and required the player to hold a card to the camera to move Ben in the game, Cards were given along with various Nesquik products. Not much is known about these three games as they were playable from a KFC promotion with Proje Calide. According to the commercial, after ordering the menus seen in the commercial, you were given a code for one of the three Ben 10: Alien Force games (The website is inaccessible). What these games are called are not mentioned nor has any gameplay been seen in the games. Ben 10 Büyük Çarpışma: İstanbul (or Ben 10 Big Clash: İstanbul) was possibly their last project, It was a game for PC about Ben finding himself in İstanbul and having to fight off the aliens there, nothing of the plot is known and from the shown footage, only Ultimate Swampfire was playable, it is unknown if the final version had more aliens playable, The game was available on Cartoon Network Turkey's website but isn't anymore. Ben 10 Game Set commercial. Ben 10 Meteor Saldırısı how to play video. Ben 10 Meteor Saldırsı commercial. KFC Ben 10 promotion commercial. Ben 10 Büyük Çarpışma: İstanbul trailer.